The Global Watch Foundation Children’s Home is a refuge and loving home for orphaned and underprivileged children. We are funded by private donations through the Global Watch Foundation USA 501(c)(3) in the USA and the Global Watch Trust in India. 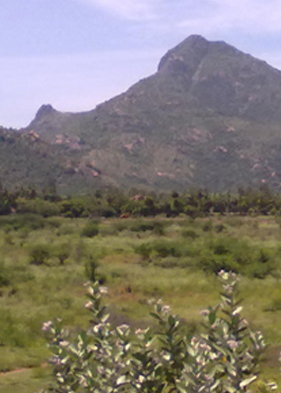 We are located in the sacred town of Tiruvannamalai in South India. The Home provides a loving home, healthy meals, education and stability for our children. Satya and Corrine fell in love with these 33 children upon their first visit in 2007. They found them all living in one small, dark and dingy room where one house mother was looking after all of the children in a remote village an hour away from Satya’s home in Tiruvannamalai. They started helping at first by fixing things like a broken toilet, purchasing a food grinder and fresh daily milk. 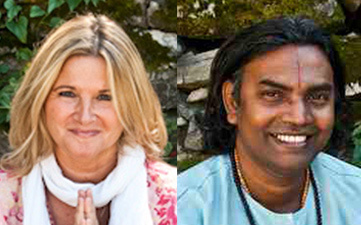 Soon after in early 2008, Corrine and Satya took over full financial and legal responsibility and founded The Global Watch Trust Children’s Home in India. Since that time they have moved to a beautiful three acre farm where they now have a family of five cows, a growing family of chickens, a dog, a garden and two water wells. Over the years they have been able to install a reverse osmosis water system, purchase a large food grinder and washing machine for bed sheets, (the kids wash their own clothing). Originally the kids were sleeping on the concrete floor with straw mats as beds and now they have bunkbeds with mattresses, pillows and sheets. All of this has been accomplished with the generous hearts and donations of our growing community of friends and family. We have three full time live-in caretakers and twelve part time teachers and tutors as well as wonderful volunteers that come from all over the world to meet and help our children. Our kids all go to schools nearby. These children are our family and not up for adoption. Some of these kids do have family members such as Aunts, Uncles and Grandparents and in a few cases a single parent that live in small remote villages. Since Satya and Corrine took over the financial burdens in 2008, they had to work hard to become a recognized and fully legal non-profit also known as a Government Trust within India. They expanded in 2010 to become a 501C3 non profit organization in the USA and go by the name of Global Watch Foundation.Most recently they received the highly sought after FCRA from the Indian Government. We currently have about 30 Sponsors donating monthly that help to support both the children’s day to day needs as well as their futures. We need more sponsors! If you would like to get involved by coming to meet the children or volunteering in India, we would love to meet you. You can also become a sponsor by donating monthly, please email corrinechampigny@mac.com. We have sponsors that donate $25 a month on up to $200 a month. You can also donate directly off this website by using paypal. 100% of your donation goes the children and everything it takes to house, feed, cloth, educate and take care of our kids. Please subscribe to the site to receive our newsletter.